‘Glencoe life’ is a community magazine published by the Glencoe club in Calgary that provides information for living a healthy and active life. Their articles are often about sports injury prevention, nutrition, research in Dementia and other important areas to help people stay healthy throughout their lifespan. They invited myself (a PhD Audiologist) and Dr. Regan Nowlan (an Optometrist) to present information about healthy eyes and ears as we age, with a focus on areas of Dementia prevention. This article that they invited us to submit was a synopsis of what was presented at that lecture. Take a look and have a read. According to a recent article from Glencoe.org, recent research from a variety of longitudinal aging studies show that there is a higher expected prevalence of hearing loss in Canada. In fact, approximately 18 percent of the adult population suffers from hearing loss, and a whopping 47 percent of people over the age of 60 suffer from mild hearing loss in at least one ear. While these numbers are quite high, what’s more surprising is the fact that 75 percent of individuals who suffer from hearing loss do absolutely nothing about it. At Audiology Innovations, we’re proud to be a leading provider of hearing tests and advanced hearing loss solutions throughout Canada. With a comprehensive approach to hearing wellness, our audiologists are backed by decades of research and experience in the audiology industry and we utilize the latest and safest hearing loss tools and techniques at our facility. If you’re interested in learning more about our hearing evaluations, hearing aids, or assistive listening devices, contact our professionals today! Hearing loss in adults tends to happen gradually over time, which is why many individuals don’t realize how much trouble they have hearing until they visit an audiologist. On average, it can take anywhere between seven to 10 years for someone to realize that they have some hearing loss. While many adults are concerned about the potential financial cost of hearing aids and other assistive listening devices, this outlook is changing for numerous Canadians. With the recent advancements in hearing technology, men and women have the ability to improve their hearing at an affordable price. Why Do Something About Your Hearing Loss? When it comes to the older adult population and health-conscious patients, studies have found that these people are mostly concerned about living their lives to the fullest in work and recreation. While ignoring the signs of hearing loss may not seem like a big deal to some, it can have a tremendously negative impact on all areas of your life. Thanks to recent research, we know that if the auditory portion of the brain is left under-stimulated for a significant amount of time, it can cause serious damage to the hearing of the individual. 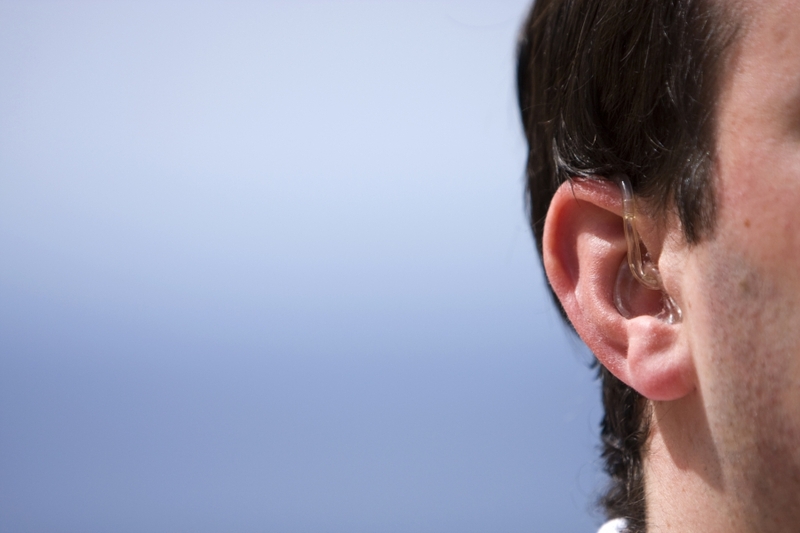 Luckily, there are some steps that can be taken to slow the hearing loss process. A recent study conducted by the Journal of the Geriatric Society of America studied 3,600 seniors over a 25-year period. The study showed that individuals who wore hearing aids (if required) had reduced cognitive decline when compared to those people who suffered from hearing loss and did not wear hearing aids. This study has been used to support the premise that overall brain health can be protected by hearing devices. 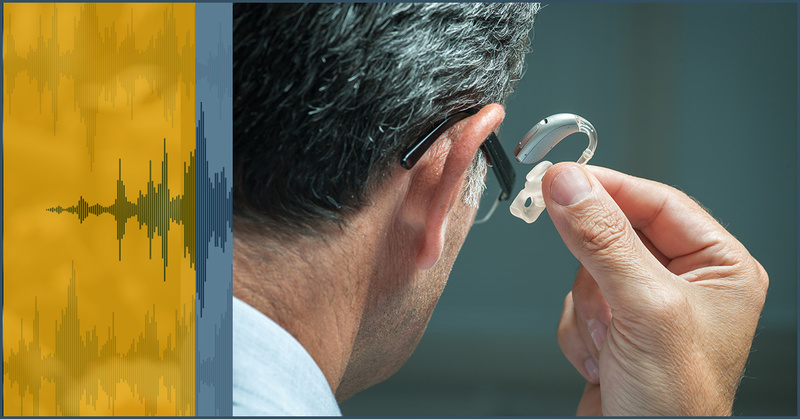 If you’re interested in learning more about hearing loss and the different assistive listening devices available, contact the professionals at Audiology Innovations today. We carry a wide assortment of hearing aids and hearing instruments, and we would love to help you find the right hearing solutions for your unique needs. While the type of hearing loss in adults can range from one person to another, the most common type of hearing loss is known as sensorineural hearing loss. Sensorineural hearing loss is often caused by the natural wear and tear of hair cells in the inner ear, which can occur from the natural progression of aging. As these cells deteriorate over time, they cannot be repaired. The best kind of rehabilitative treatment for this kind of hearing loss is hearing aids. Did you know that individuals over the age of 30, even those with normal hearing, tend to have more difficulty filtering out background noise? This is because our brain has more difficulty filtering out background noise after the age of 30. Luckily, there is a well-researched training program that can be used to improve listening skills if you suffer from hearing loss or have trouble hearing others in noisy environments. The LACE (Listening and Communication Enhancement) program was strictly created to focus on training the auditory part of your brain to recognize the initial part of words more quickly. Research from Northwestern University shows that there is a quicker electrical response in the brain to auditory stimuli after completing this program. You have more difficulty hearing women’s and children’s voices. You tend to withdraw from social activities where it is difficult to hear others talking. You find yourself having to read lips in order to hear what people are saying. Your friends and family members tell you that you mumble a lot. You hear a ringing or buzzing in your ears often. You always have to turn up the television louder than your friends and family members. Hearing loss can occur at any age, which can make it extremely difficult to diagnose. If you or someone you care about is experiencing two or more of the symptoms listed above, it may be time to seek professional help. If you live in Canada and you’re looking for a dependable and experienced audiologist to help determine the extent of your hearing loss, contact the experts at Audiology Innovations today. Whether you’re looking for digital hearing aids, custom ear plugs, or other assistive listening devices, our audiologists can help you find the best hearing loss solution for you. Contact our audiologists today to schedule an appointment!